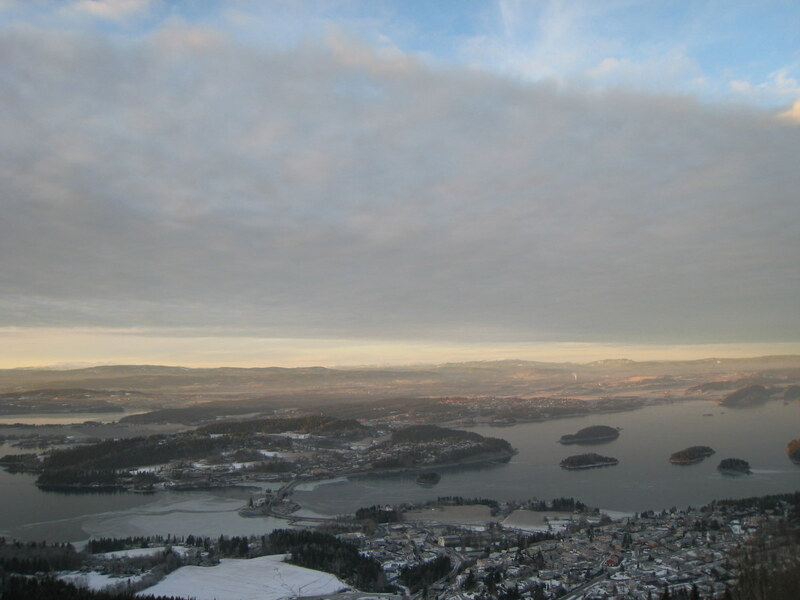 With weak northerly winds, and high pressure systems we can get some super nice conditions at out local site close to Oslo, but more often than not it’s foggy below the inversion just under takeoff. There was a clear inversion yesterday too, but not much fog. I had kept Sindre’s Litesport that he bought from a German pilot, Sindre has been in Bergen studying law, and he’s not had time for flying. We assembled it from shortpack in the garage at work before heading out in the morning. It was almost no wind at takeoff, and periods with weak tailwind as usual at this time of year. We set up and got ready to run off in a still period. Sindre did a very impressive run, and got off nicely with the Litesport. I had to run with the Falcon too, but with that kind of glider it is a lot easier to do a good takeoff in weak tailwind. Landing on the smooth and extremely slippery ice is great, just slide in at high speeds. What better way to spend the day?